Auto Body Xpert’s employees complete a rigorous certification program to perform work on your car. The certifications are backed up by large national organizations and systems such as ICAR Gold Class, ASE, ATEG and PPG Certified First. The I-CAR vision is that every person in the collision industry, current I-CAR and future, has the necessary knowledge and skills relevant to their position to achieve a complete and safe repair. The Gold Class recognition is the highest training achievement recognized by the collision repair industry, only 20% of repair shops currently meet the Gold Class standard and Auto Body Xperts is among that 20%. I-CAR develops and delivers technical training programs to professionals in all areas of the collision industry. In addition, I-CAR provides a communication forum for anyone interested in proper collision repair. I-CAR’s primary funding is derived from student tuition and services. This assures that I-CAR can remain unbiased in developing programs and services on an industry-wide basis. Raising the level of knowledge and skills required of individuals involved in the repair process. Preparing individuals for career opportunities and advancement. Administering programs to recognize professional achievement. Improving communication and promoting the value of education throughout the collision repair, insurance, and related industries. Creating public awareness of a complete and safe repair. It is important that all persons involved in the collision repair process recognize and remember our responsibility to our customers or insured. The occupants of a repaired vehicle depend on the decisions made, procedures and materials used in the repair process with their very lives. If braking, handling or collision energy management are adversely affected by improper or incomplete repairs they may pay for our negligence with injury or death. It is a tremendous responsibility and a great opportunity to be of service to our society. Only by constantly retraining ourselves in the latest repair technology can we accomplish the goal of collision damage vehicles returned to pre-accident condition. Pre 1980’s collision repair processes where considered to be very standardized for all make and models. Collision repair training standards were either nonexistent or generic at best. In the 1980’s with the introduction of the Unitized Frame Structure and the world of Supplement Restraints, the collision repair industry was forever changed. The automakers started making the technological advancements on today’s vehicles, but the repair industry had no idea how to repair them. In 1989, Automotive Technical Education Group (ATEG) was founded by David Berlien, an independent collision repair shop owner in Michigan who found that it was nearly impossible to find any model and system specific training for his own staff. David was managing his own shop and was the top I-CAR instructor in the region for many years. ASA-MI and many top insurance companies realized the need for training in the industry and are very supportive of ATEG training. ATEG training seminars started with airbag systems, because at the time everyone was afraid of them and had no idea how to service them safely. It was not long until the issues of frame and section procedures came to be. Steve Melton took ATEG over for David Berlien who retired in 2003 and will be missed. Steve has over 24 years experience in the collision repair business, as a technician and collision repair shop management. Now into our eighteenth year ATEG is committed to providing you with the latest model specific information. Our live training seminars are conveniently held weekday evenings in a fall and spring session in locations all around the upper Midwest. Special request seminars have also been offered in many cities on the east coast along with the NACE convention. ATEG offers daytime group seminars upon request for those wanting to keep the evening free. Whether the subject is structural repairs, replacement, structural foams, adhesives or restraints systems, ATEG’s links to the OEM’s ensure the latest, most accurate model specific information available to the collision repair and insurance industries. ATEG currently has over 4500 clients in the upper Midwest. Our clients who regularly attend ATEG live seminars also receive free year round technical support with reparability issues. For most, the auto body repair process is an unfamiliar one — one that occurs, on average, only once every seven years. And there’s a lot at stake: In many households, a vehicle is among the largest assets owned— second only to the home. What’s more, the family automobile often represents the only means of getting to work or school. With so much riding on the decision, it’s no wonder that many people look to a qualified resource, such as Auto Body Xperts — a recommendation from a friend, family member or insurance agent — to help them make the right choice. Being part of the Certified First Network is a great way for our customers to learn our high standards and the importance we put on education and certification within our facilities. We are part of this network because we meet high standards for customer satisfaction, and offer impressive levels of quality, courtesy and professionalism. 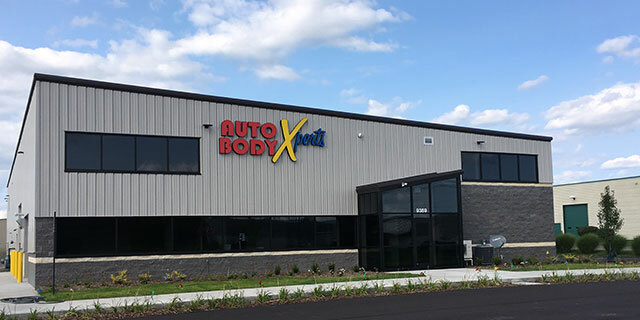 In short, Auto Body Xperts is a name to be trusted in the auto body repair industry.